Ever gone to a restaurant as a family and been frustrated by your kids lack of interest in any of the meals on offer? And then when you ask them, “what do you want then?” and they reply with, “I don’t know”, someone is about to get a smacked bottom! All your problems for feeding fussy kids has been answered now when you go out for a nice family dinner. 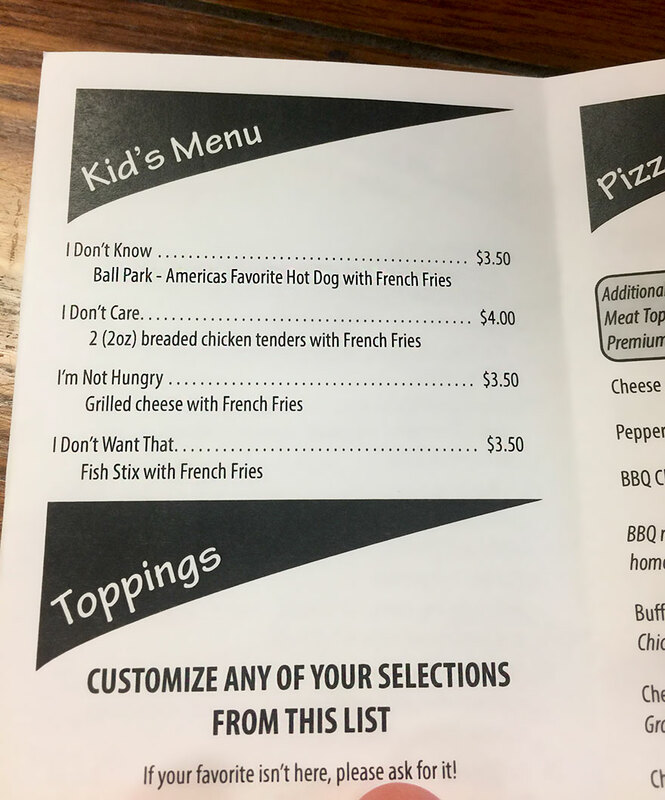 This restaurant in Altoona, Pennsylvania used the common phrases such as “I don’t know” and “I don’t care” as menu items so parents will never have to pull their hair out again!